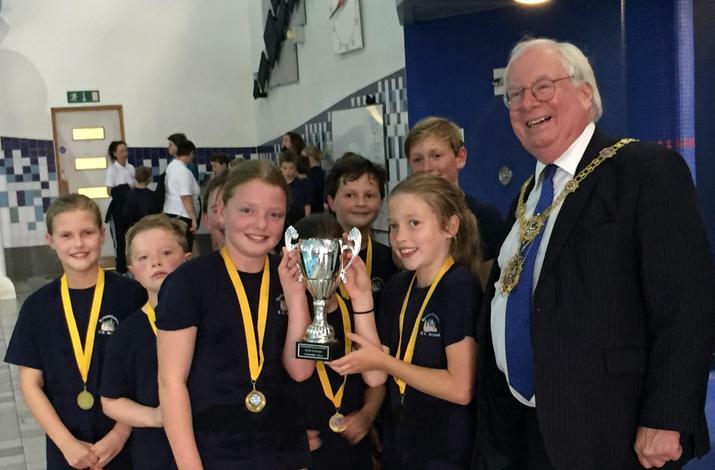 Congratulations to our swimming team, who were crowned Harrogate Area Champions at the finals of the Tolly Richardson swimming gala. The Hampsthwaite swimming team put in an excellent performance, and were in a strong position throughout the finals at the Hydro pool. Taking first place in most of their races, the children were full of determination and enthusiasm. 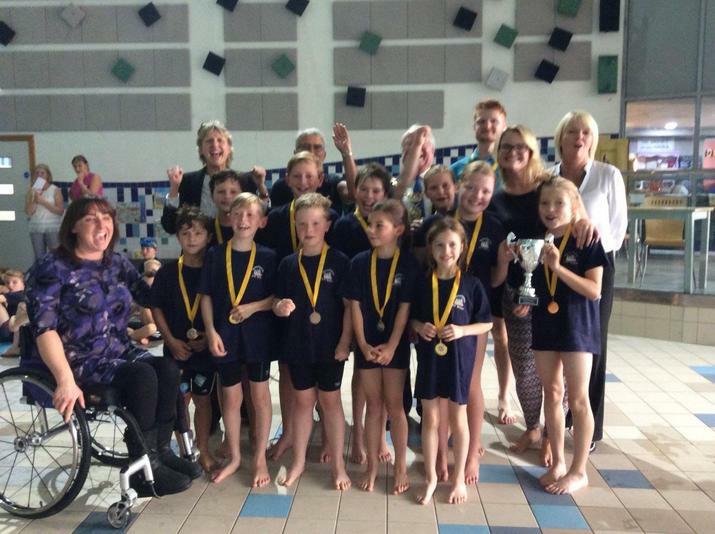 "All the children swam amazingly," said Ms Reynard, who accompanied the team to the event, "they showed excellent technique, stamina and speed." By the second 4 heats of the competition, Hampsthwaite were in 1st place, which they held onto in the relay events. Our Hydro buddy, James Franklin, ex-pupil of Hampsthwaite school, supported our team throughout. "Keep swimming the way you are," he told the team, "and you'll be bound to come in the top 3 places." But the Hampsthwaite team did better than that! Their hard work paid off and they were delighted to be declared the champions. 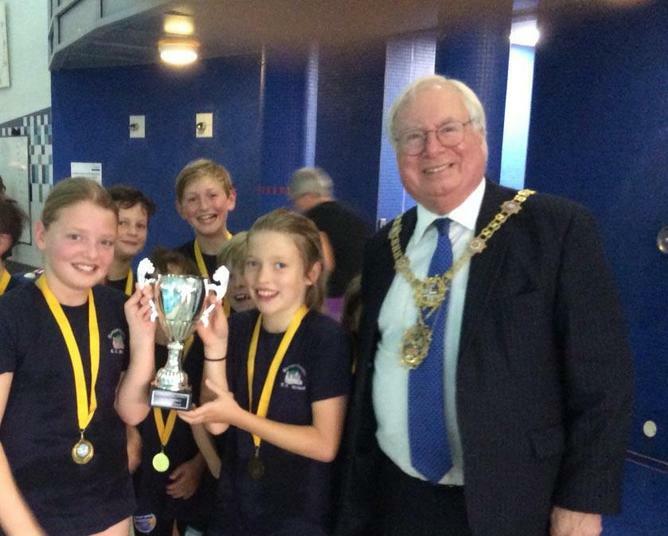 All the children received individual gold medals and were presented with the Harrogate Area Swimming trophy by the Mayor. The children thoroughly enjoyed the event, and are very proud of their achievement. "I know some of the other swimmers, because I swim with them in squads" said Lucy, "but I managed to come in first place this time!" Winning by just 17 points, the team put in a fantastic effort and have represented the school brilliantly. Very well done to you all!